UNITED NATIONS, July 19 -- The UN Panel on Accountability in Sri Lanka began to meet on July 19, Inner City Press can report. This starts the four month time line for them to produce a report, at least on the compliance of Sri Lanka's “Lessons Learnt” panel with international standards for inquiries into war crimes. At 1:30 pm on July 19, panel members Marzuki Darusman, Yasmin Sooka and Steven Ratner met in the UN's North Lawn building. At that moment, at latest, the four month clock began. As Inner City Press has previously reported, and has now further confirmed with colleagues in Colombo, Sri Lankan government sources are pitching the tale of Darusman bickering about fees for his prior position on a Sri Lankan panel when it disbanded. While the motives of such pitches are clear, less clear is why the Ban Ki-moon administration or one of its advisers would have given the Rajapaksas such an easy issue to work with. We will have more on this. On July 19, Darusman said he was just in from Jakarta. Ratner, in from Ann Arbor, Michigan, noted that the UN listed hotels, that the UN will pay for, don't in fact have a UN rate. The Bentley, he said, is still not too expensive. There was a discussion of the more expensive Millennium Hotel, and of meeting over dinner in the Italian restaurant across the street. 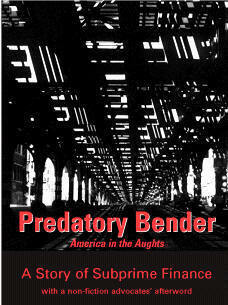 It is Padre Figlio; inquiry by Inner City Press mid-day Monday found $86 Porterhouse steak on the menu. (In fairness, it is for two. A single portion of Chilean sea bass costs $32). Having met with the Department of Political Affairs of Lynn Pascoe, the panel was set to meet with Nicholas “Fink” Haysom at 2 pm. They were then observed, at 3:17 p.m., leaving the UN campus and entering the DC-1 building, with the Millennium Hotel, at 3:20 pm. The four month time clock, and expense accounts, have begun. Expect a restaurant review. 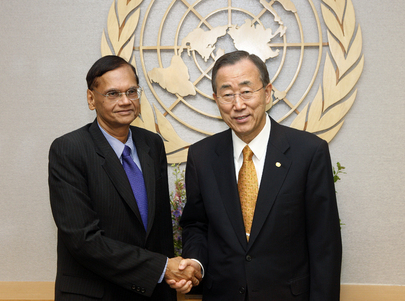 UNITED NATIONS, June 24 -- The government of Sri Lanka has said it will deny visas to members of the UN panel of experts to advise Secretary General Ban Ki-moon on alleged war crimes in the final stage of that country's civil war. Inner City Press asked Mr. Ban's spokesman Martin Nesirky for Ban's response to being thus rebuffed. Video here, from Minute 19:42. “It's not a question of speaking to witness,” Nesirky said, emphasizing twice that it is “not an investigation, not an inquiry, not a probe.” The obvious question is, why not? More than a year after thousands of civilians were killed, the UN is only now convening three individuals to advise Ban on what he might do. 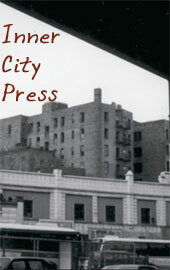 Inner City Press is told that the panel will have staff, to be based in New York. 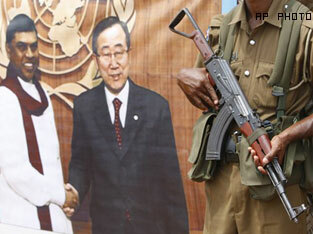 Meanwhile in Sri Lanka, the government is said to be setting up some protests to be held in front of the UN in Colombo. If Sudan were to do this, the UN would denounce it. But here? Footnotes: The "no visas" announcement was made by External Affairs minister GL Peiris, who twice rebuffed the Press while in the US lobbying against the UN panel. Then, Hillary Clinton stood by Peiris. And now? The Sri Lankan Mission to the UN put out the foreign ministry's statement, a day late and in an unwieldy format. The Permanent Representative Palitha Kohona is still apparently not back in New York. Sri Lanka has thumbed its nose at GSP Plus as well. What will happen with the IMF? Watch this site. 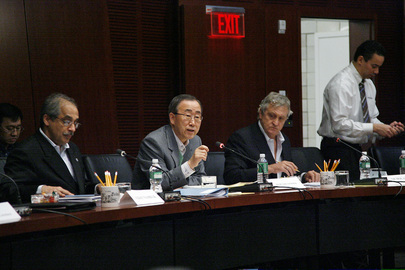 UNITED NATIONS, June 22 -- A panel on Sri Lanka war crimes has been named by UN Secretary General Ban Ki-moon, the day after Inner City Press exclusively disclosed the names of its three members -- but the panel, it turns out, won't necessarily travel to Sri Lanka or interview any witnesses. Inner City Press asked Mr. Ban's spokesman Martin Nesirky if, for example, the panel will interview Sarath Fonseka, who served as General in charge during the final stage of the conflict and who has spoken of orders to kill people who surrendered, a war crimes. Video here, from Minute 10:48. Nesirky replied that "the mandate is such that some of the precise details, the who and how, still need to be worked out." The aim, he said, is to speak with "the concerned officials," and to finish in four months. Which officials are more "concerned" than President Mahinda Rajapaksa, his brothers Gotabaya and Basil, and his Ambassador to the UN Palitha Kohona, named by Ban's chief of staff Vijay Nambiar as having given assurances that those who surrendered would be treated in accordance with international law -- before they were killed? 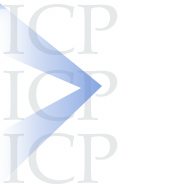 Inner City Press asked Nesirky, in light of the European Union's announcement that it will only extended the GSP Plus tariff benefit if the Rajapaksa administration takes specific human rights related actions in the next six months, if the UN believes or wants one of the actions to be cooperation with the UN panel. Video here, from Minute 11:51. Nesirky replied, we're focusing on the work of this advisory panel. So much for coordination. So much, too, for consistency. Murzuki Darusman served on Ban's panel on the death of Benazir Bhutto of Pakistan. That panel's report was released to the public. Darusman came to the UN briefing room on the day of its release, and Inner City Press asked him questions. In this Sri Lanka case, though, Nesirky would not say if the panel's report will be made public, nor if any of the three members will take questions from the Press. 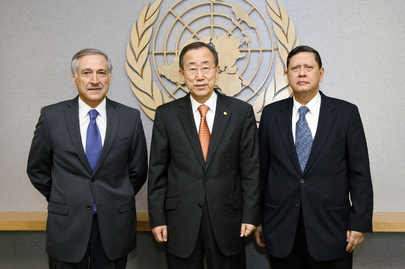 UN's Ban and Darusman: public report for 1 death, secret for tens of thousands of deaths? Inner City Press asked, for example, how Mr. Darusman will handle his four month Sri Lanka focus with his new other job, as special rapporteur on human rights in North Korea / DPRK. Has Steven Ratner performed any other service for the UN, other than advising Kofi Annan about Cambodia's Khmer Rouge in the last 1990s? Nesirky did not answer any of these. And so we'll add a third, about the third member: is Yasmin Sooka more about reconciliation or accountability? Even as Nesirky announced the names, confirming what Inner City Press has asked him on the record the previous day, his Office did not have ready biographies for the three, as is the usual practice. Later on Tuesday, after Inner City Press asked Nobel laureate and Elder Martti Ahtisaari a question, Ahtisaari said of Sri Lanka that it was sad that in the international community, no one had been prepared to do anything. Sad indeed. Watch this site. Inner City Press: I want to ask on this panel on Sri Lanka, can you confirm that beyond Mr. Darusman, that the other two members are Yasmin Sooka and Steven Ratner? Spokesperson Nesirky: What I can tell you is that we’ll probably be making an announcement tomorrow.